Puppies are probably the most adorable creatures on the planet. They aren’t only little bundles of joy but are also extremely playful and fun to watch. However, whoever has owned a puppy would testify that these tiny balls of fur actually require a lot of work and effort on them. 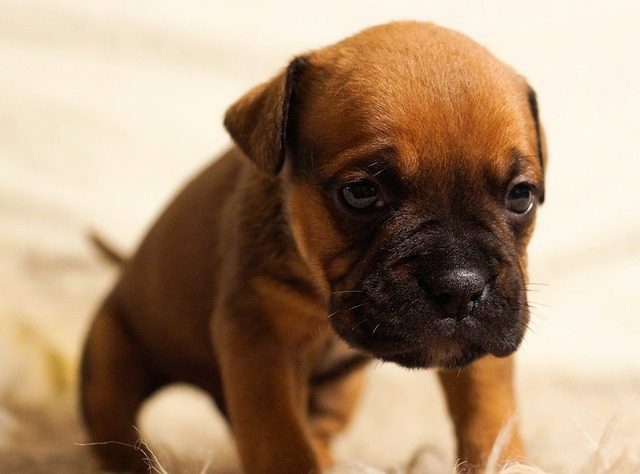 Puppies tend to defecate as well as urinate when they feel full. This is mostly uncontrollable by them as their resistance muscles have not yet been developed. 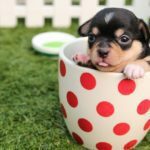 If you are thinking of buying such a tiny little buddy for yourself or have already gone ahead and brought one home, then the tips mentioned below would greatly help you train your puppy. House training puppies are no joke. It not only requires effort but a lot of time as well. The more time you lose, the harder it will be to train the little fellow. Therefore, you should put on your training hat and start the day you bring the puppy home. 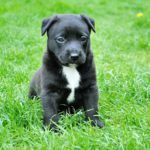 It is important to understand that young puppies can’t help but ‘go’ five times a day on average. Therefore, it is your duty to carry or walk him outside whenever he eats or drinks. 5 to 6 times a day on intervals is good enough and will save your home from the awful smell of urine or poop. Also, remember that it is not until the puppy has turned 12 weeks that he will learn bladder control. Understanding the little signs he shows to communicate his needs will also help you realize when he needs to be let out. Such signs can include restlessness, going round in circles, etc. 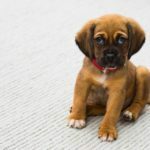 Perhaps the most important reason for starting right away is to ensure that the smell of urine in the house doesn’t provoke your puppy to start marking his territory inside from day one. A large part of puppy training requires you to actually focus on the behavior of your puppy. The pleasing nature of dogs is pretty much innate and can be used to make them do what you wish from the start. The only challenge is to make them understand through specific communication that making them urinate and defecate outside is what makes you happy. 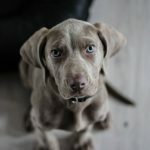 However, this can be quite tricky as communicating with your puppy is entirely different from communicating with a person. You need to realize that getting unhappy with your dog about the mess he has made should be done at the exact same time that he soils your home. Waiting for later a time will only end up confusing him and will get you nowhere. You need to catch your puppy red handed and make him stop right there and then for him to fully understand your command. Afterwards, when you carry him outside and make him ‘go’ in the bushes or somewhere appropriate, don’t forget to give him a hearty praise. The most common method to train a new puppy is to put him in a crate each day whenever you are busy. This is no way means that the crate is to be the permanent home of the puppy all day until you get back from work. Like all other animals puppies have feelings too and if left alone for too long they tend to get depressed and lonely. 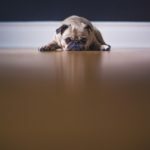 A depressed puppy might not eat well or be playful when you do actually try to spend time with it. You also already know by now that their bladder control is pretty limited and if you don’t take them out of the crate every now and then, they will get distressed by having to urinate in their sitting place. Just keeping the puppy in the crate for a good night’s rest is suggested and that also after you have taken him out at intervals throughout the whole day. 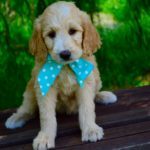 If you have a job that requires you to be away from home for long periods of time, then you can hire a dog sitter who will feed your puppy and take him out on time. Arranging for such kind of attention will also ensure that the little fellow doesn’t become unhappy and start howling or cause any kind of destruction. When you’re back from work, spend a good amount of time with your pup, because like little children they also require a lot of tender loving care in order to grow up into loyal companions. Lastly, just remember that puppies and dogs like to have schedules and any disturbances in these might end up confusing them. Make a proper timetable of when to feed your dog or do any activity with him. Just to be on the safe side, take him out to the same spot every day before and after playing with him and feeding him. Your pup will be housebroken in no time at all.